This And That (About The Word of God): What's ♥ Love ♥ Got To Do With It? What's ♥ Love ♥ Got To Do With It? The love of God is perfected in us when we keep God's commands and love one another. This unifies us by one Spirit into one body, as Christ is one with the Father. God is developing a family whose main characteristic is love, therefore, the Kingdom of God is also the kingdom of love. This fruit of the Spirit, love, opens the way for the other spiritual fruit to be produced. 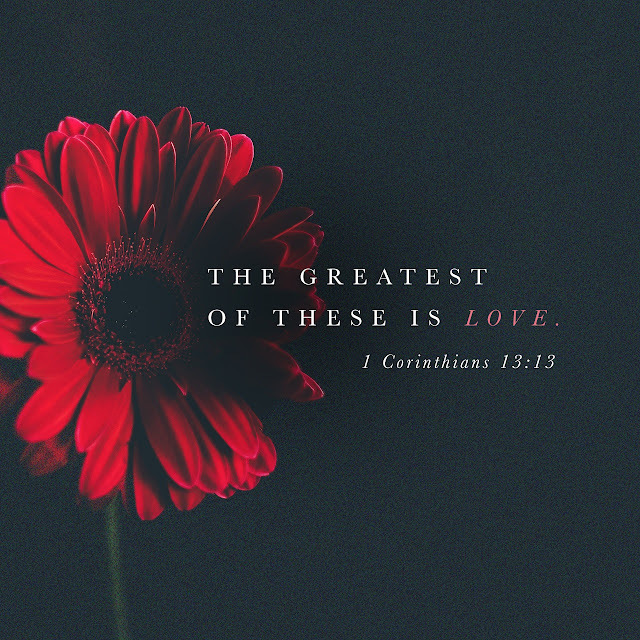 In I Corinthians 13, the Bible reveals love's supreme importance to life. Apostle Paul's epistle to the church at Corinth directly compares love's value to faith, hope, prophecy, sacrifice, knowledge, the gift of tongues and indirectly with all other gifts of God mentioned in chapter 12. He in no way depreciates the others' usefulness to life and God's purpose, but none can compare in importance to love. The Corinthians took great pleasure in their gifts, just as we in the church do today. But a gift's relative importance is shown in its temporal quality. That is, there are times when a gift is of no use. But love will never end; it will always be of use. A gift without love is useless. Indeed, the receiving of gifts from God—unless accompanied by and used with love—have the potential to corrupt the one receiving them. God's gifts are powers given to enhance a person's ability to serve God in the church. However, we have all heard the cliche, "power corrupts, and absolute power corrupts absolutely." If gifts are not received and used with love, they will play a part in corrupting the recipient, just as they were corrupting the Corinthians. use His gifts without corruption. Apostle Paul says, "Knowledge puffs up, but love edifies [builds up]." "Puffs up," when opposed to "edifies," implies tearing down, destruction. Apostle Paul is saying that pride has the power to corrupt the bearer of knowledge. This statement is part of the prologue to the great chapter on love, written because the Corinthians had allowed their emphasis of the gifts of God to drift into the wrong areas of pride. Even as a gift from God, knowledge has the potential to corrupt its recipient, if it is unaccompanied by love. 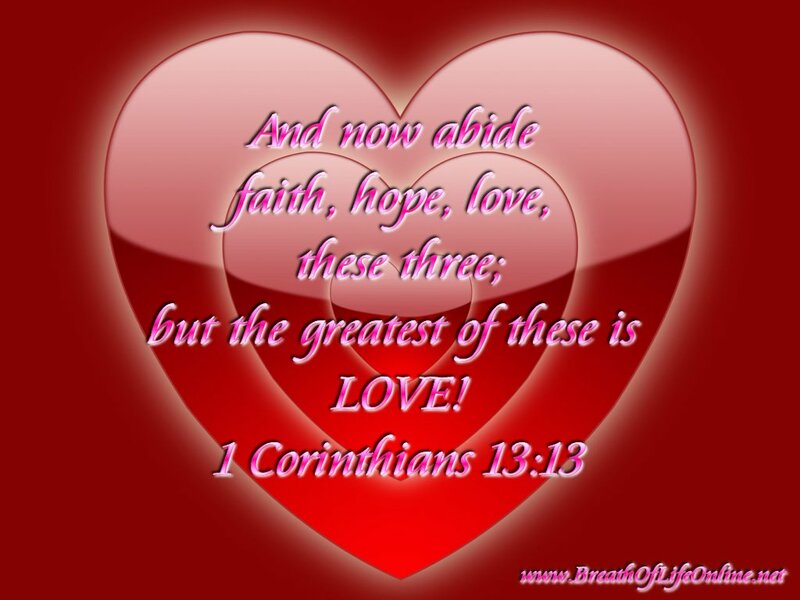 Apostle Paul thus begins chapter 13 by contrasting love with other gifts of God. He does this to emphasize love's importance, completeness, permanence, and supremacy over all other qualities and gifts we consider important to life and/or God's purpose. Prophecies end because they are fulfilled. The gift of tongues is less today perhaps because the charismatic movement of God within the church has been devalued. Knowledge is increasing so rapidly that old knowledge, especially in technical areas, becomes obsolete as new developments arise. Yet the need for love is never exhausted; it never becomes obsolete. God wants us to employ it on every occasion; in all of our thoughts, actions and deeds. He commands it in every aspect of our life toward Him, ourselves and others! He can command it because His love is ever lasting! When everything else fails, God's love is there. Amen!!!!!! The love. The love. 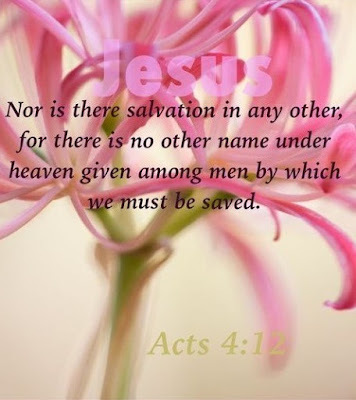 One of my favorite chapters to read is John chapter 17. The love of God has to be in us for God to work through us. Love never runs out. I may run out of energy. I may run out of money. But love has a never ending supplier! My God! Amen! God bless you Avilya!